To promote and teach Aikido to people of all ages from all walks of life. We welcome females, children, students from all backgrounds and all walks of life. We believe that Aikido , universally known as The Art of Peace, is an important life skill for everyone. Safety is our number one priority. All of our equipment is well maintained. We have a number of policies and practices to minimise the risk of injury. It is always a bit daunting walking into a room full of strangers for the first time. When you come to Griffith Aikido someone will be there to welcome you. At Nathan dojo, it will be Ben, Erwin or Narelle. At Everton Hills dojo it will be Darren, David or Michelle. Before you start, you will be asked to complete a membership form, a medical disclosure and a disclaimer to release and indemnify our association and its members in regard to acknowledgement of risks, injuries and obligations. If you want to train at Everton Hills dojo, your fees are payable directly to the Hills District PCYC (Police Citizens Youth Club). If you want to train at Nathan dojo, please go to our website http://griffithaikido.com.au/pay-fees/ to pay your fees in advance. Griffith Aikido is a 100% volunteer organisation and we want to spend as little time as possible doing administration and more time teaching and training. So it is up to you to pay for your tuition on time. You do not need to buy a Gi (uniform) before starting. Loose comfortable clothing is fine. It is best to wait until you are sure that you want to continue with Aikido before purchasing a uniform. When you are ready we will refer you to a local martial arts supply shop where our students are entitled to a discount. Also, please bring a water bottle and ensure that all jewellery and piercings are removed. If you are new to martial arts you will soon realise that there are certain traditions and courtesies to be observed inside a dojo. 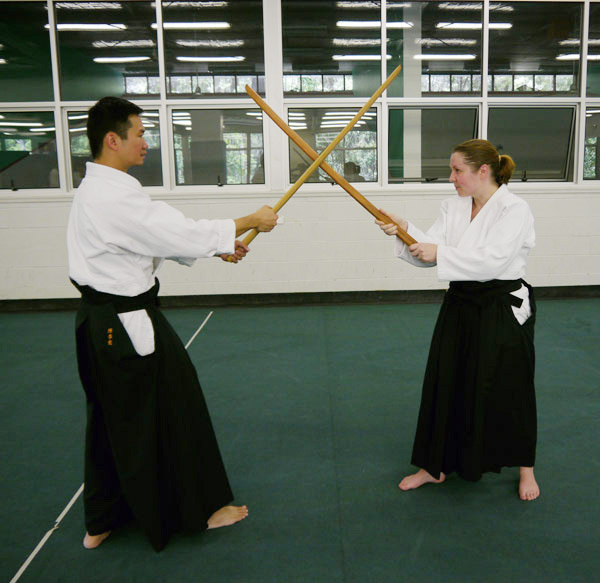 As with many martial arts, one of the cornerstones of Aikido is self-discipline and respect. That means maintaining self-respect and showing respect for others. We all leave our shoes just inside the door. You will see plenty of bowing. Don’t be worried. It is a gesture of mutual respect only. Aikido is a Japanese art and the Japanese way of greeting is to bow (rather than to shake hands). 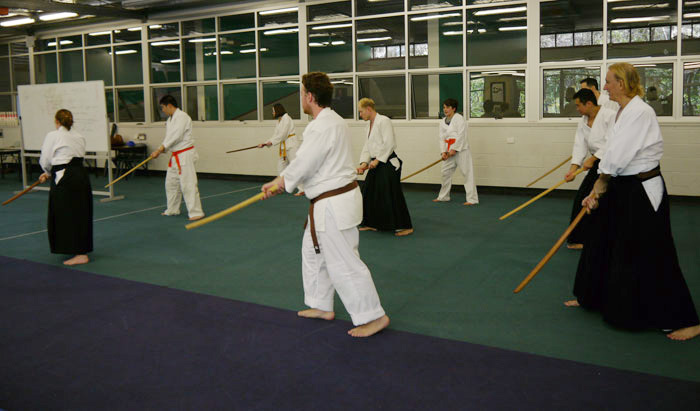 We operate Griffith Aikido Institute Inc (ABN 14 839 935 712) in a professional manner with an experienced management team. We carry Public Liability, Professional Indemnity and Accident & Injury insurance. Our accounts and records are externally audited each year by a CPA qualified audit professional.